What is a Third Degree Crime in New Jersey? If you are charged with a third degree crime in New Jersey, you may have many questions about what it means and the potential penalties you are facing. Under New Jersey law, there are crimes of varying degrees that are graded based on the severity of the alleged offense. Since New Jersey does not recognize criminal offenses as felonies and misdemeanors, it has what is known as indictable crimes and disorderly persons offenses. An indictable crime is subject to indictment by a grand jury in Superior Court. When you are charged with a indictable crime, which is the equivalent of a felony, the degree is very important because it determines the severity of the consequences if you are convicted. It is extremely important to know that third degree crimes entail a presumption of non-incarceration in New Jersey. This means that if a third degree charge is your first offense, you can likely resolve your case through a diversionary program like Pretrial Intervention (PTI) or Drug Court. You could also be sentenced to probation instead of going to jail. It is imperative to have an experienced criminal defense lawyer who can explain all of your options and work to achieve the best possible outcome in your case. 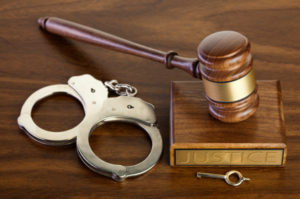 If you have been charged with a third degree crime in New Jersey, The Tormey Law Firm is a team of highly skilled criminal defense attorneys who handle third degree charges in courts across the state on a regular basis. Contact our offices in Morristown today at (908) 336-5008 or online for a free consultation. We serve Parsippany, Mount Olive, Randolph, Roxbury, Rockaway, Madison and throughout New Jersey.